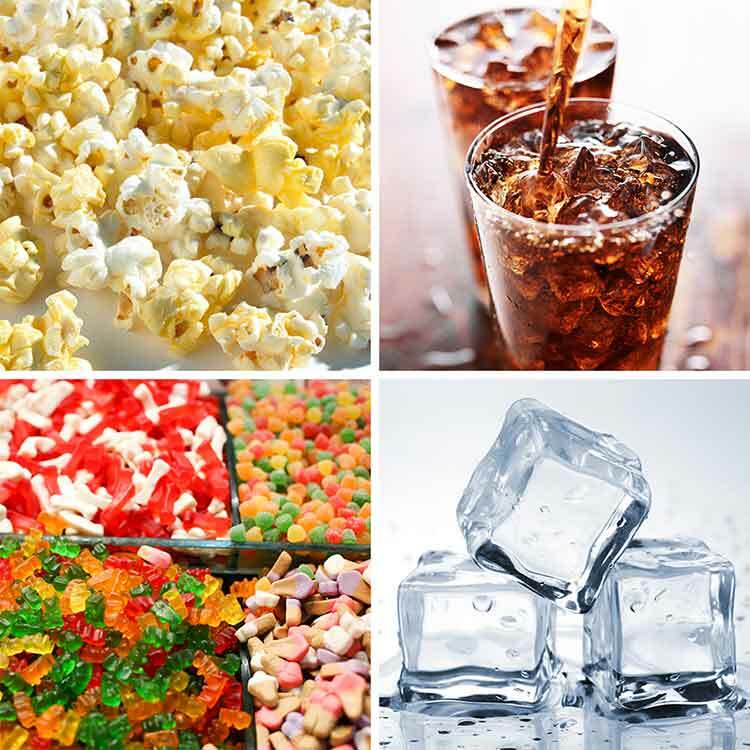 Acidic beverages like soft drinks — including diet sodas — sports drinks, energy drinks, and lemonade are especially hard on teeth with braces. Some people notice white spots on their teeth after their braces have been removed. These spots are where the enamel has been stripped of its important minerals, paving the way for bacteria to create cavities. The resulting white spots are likely to be permanent. Chewy foods like bagels and hard rolls along with crunchy foods like pizza crust, hard nuts and thick pretzels may bend wires and pop off brackets. Even healthy fruits and vegetables that require biting with the front teeth can damage braces. These include apples, corn on the cob, carrots and many raw veggies.